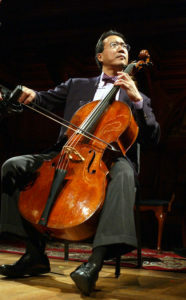 It was a great privilege to invite the world’s most famous cellist, Yo-Yo Ma, to St Stephen Walbrook to talk to Catherine Bott for Classic FM and give us a special performance of Bach’s Cello Suite No. 1. The cellist has been playing with the music of Bach for 58 years, and has just released his third recording of the composer’s suites for solo cello. In an interview broadcast on Sunday, he told Catherine Bott that the composer he first encountered aged four, has become something of a best friend to him.”It’s like having a great best friend in each chapter of your life… a great companion, a person that is there to help you go through sticky wickets in life.”He also talked to Catherine about what he sees as the personal power of Bach’s music for solo cello. “He feels your pain, he feels my pain, he feels everybody’s pain and everybody’s joy. 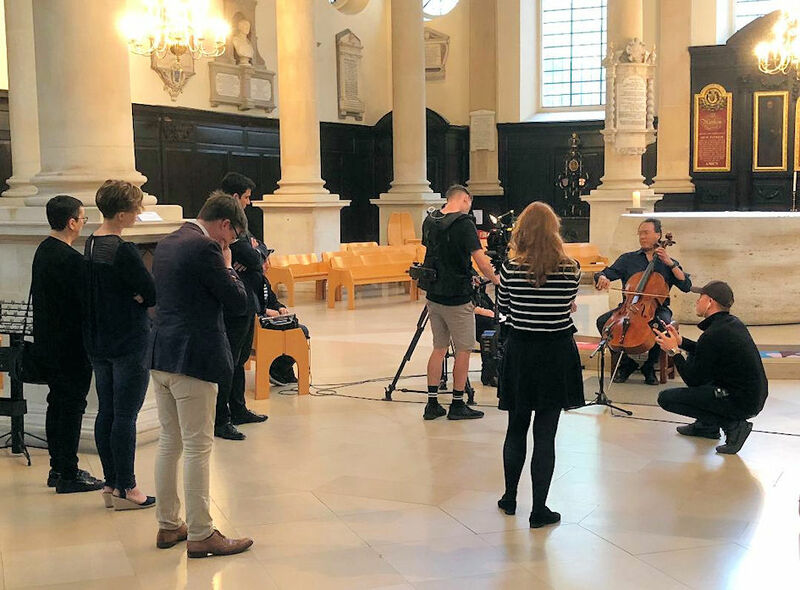 People go through illnesses, exams and difficult periods…and somehow it’s supportive.”We spoke to Yo-Yo Ma in one of London’s most beautiful Baroque buildings, the Christopher Wren-designed domed church of St Stephen Walbrook, in the centre of the city of London.